It’s been a roller coaster of a summer and today, the last day of August, it seems a good time to catch up and look forward. The high point was my family camping trip. 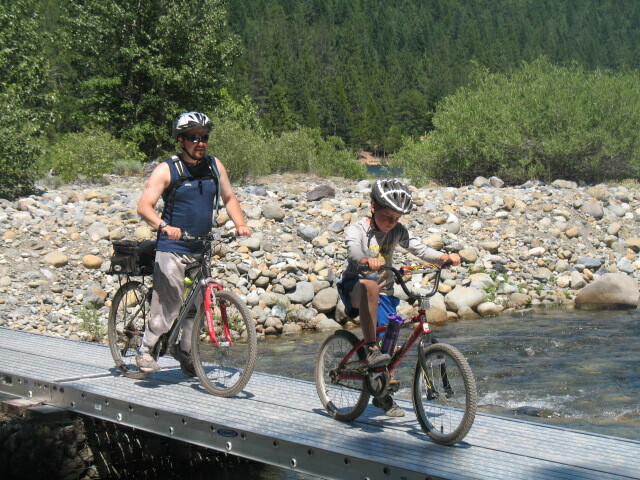 My boys caught some tasty trout, completed their first serious bike ride (five hours) on bike paths around Lake Siskiyou and we enjoyed some wonderful quality family time that is invaluable in our stressful and packed world. The low point, as I blogged last week, was the sad passing away of my dear friend Rebecca. Judaism has many beautiful rituals surrounding death. I participated in Shmirat Hagoof (guarding the body) whereby friends took turns to sit with the body for the time between passing and burial. I spent two hours sitting and talking with her, and it was very meaningful. The funeral and the shiva (visiting the mourners in their house) were both fitting tributes to a wonderful woman. Many, many family and friends bonded and shared inspiring memories and humorous stories. While mourning her death, we celebrated her life, as she wanted. 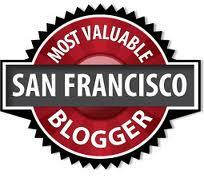 In my writing life, I completed the manuscript for the sequel to Unwanted Heroes (due 01/2012) and a sequel to my fantasy novel together with my oldest son, and Left Coast Voices was nominated as one of San Francisco’s Most Valuable Blogs. 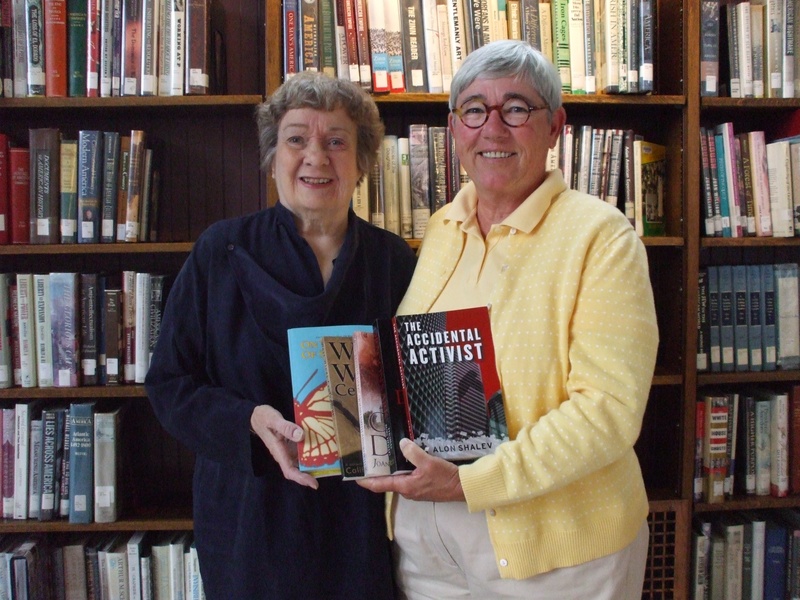 Also, The Accidental Activist is now in The Berkeley Public Library system after the California Writer’s Club donated a number of their authors’ books. Looking forward to the next few months and there are three exciting landmarks coming up. 1. A Gardener’s Tale will be released on kindle. It is being professionally edited at the moment. 2. Three Clover Press is sending me on a national 10-15 stop book tour in November – without me having to leave home. They have signed a deal with a company that specializes in this. I will keep you informed as I learn more. 3. Unwanted Heroes is planned for a January release. 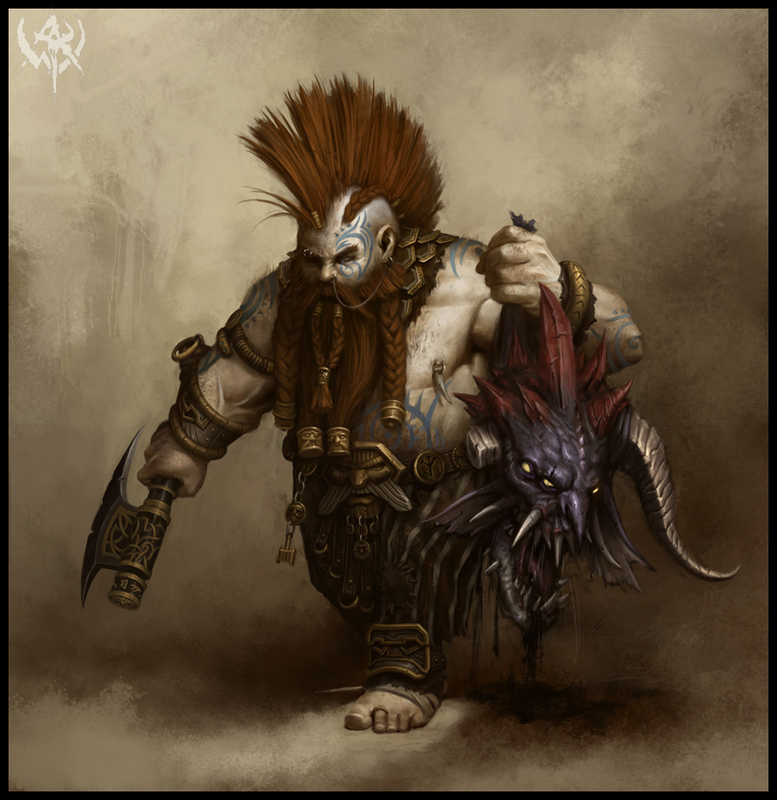 We will begin looking for a cover artist and the rest of the exciting process. Finally, for a limited time, The Accidental Activist is available on Kindle at $2.99 – less than the last cappuccino I bought (though the book doesn’t come with chocolate powder). I’m still away from home – down in inland southern California where it’s about 110 degrees (you may think I’m exaggerating, but I’m not). Right now, I’m hiding from the heat, indoors with the air-conditioning going strong. It’s a good time to think about when and why people seem to put themselves in a less-than-comfortable situation such as a protest or even a riot. 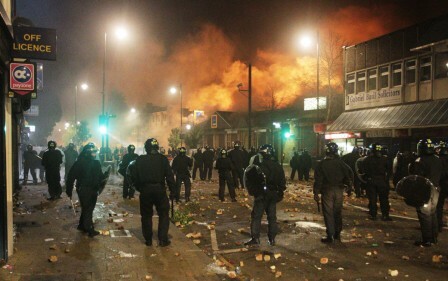 Recently, riots have erupted all around the world – London, the middle-east, France, and right here in the USA (although not TOO out of hand for the most part). Let’s, for now, overlook the criminal behavior that oftentimes erupts from these events so that we can concentrate on the reasons the events happen in the first place. I certainly don’t intend to do some sort of exhaustive, academic treatise on the subject, but just to explore a couple of thoughts. I’ve written about this a bit before, but let’s take it a little further. People protest when they feel that “the system” isn’t working for them. They riot when they feel helpless – as if the only thing they can do is to lash out – often against whatever target is handy – even if it’s wildly inappropriate or even counterproductive. These often savage actions arise when a crowd has decided, some individually and some only because they go along, that there is nothing else to do. In the past, many of these uprisings have led to bloody revolutions – or at least attempts at such. In the past, insulated, uncaring governments (monarchies, dictatorships, oligarchies, etc.) have concentrated power and wealth more and more until the lower classes saw such a dismal future that they felt they had to act. What else was there to do? Vote?!? So now we, at least in the so-called western world, have the power to vote. But what has changed? Well, some important things, to be sure. But our democracy has been around long enough to have been finessed, schmoozed, and finally taken over by the most powerful. This is true not only of the U.S., but many European democracies as well. Many feel themselves back in the same-old situation – oppression by the powerful. And they have voted, but the options in the elections are basically red corporate dominance… or blue corporate dominance. So what’s left? Futile acts of mob violence, directed (or misdirected) at almost random, meaningless targets. I’m not defending this, nor in any way supporting it, but this is what happens. Again I find myself wanting to call for unified, LEGAL action. We the oppressed cannot simply strike out blindly. Instead, we have to identify the lies that have got us here – such as, “With lower taxes, corporations will create jobs,” and then get this information out to the people. Then we must, as a people (in whatever country you reside) REJECT any politician who forwards these lies. It’s time for economic as well as social myths to be shattered. This won’t bring an end to violence, but it will surely diminish. We don’t have to be helpless. A month ago, I shared a few blog posts and articles regarding my attempt to leverage Twitter. Here are some good YouTube videos. If you have any tips or experiences using Twitter please share with us in the comments. Please Vote Today. Click Here. 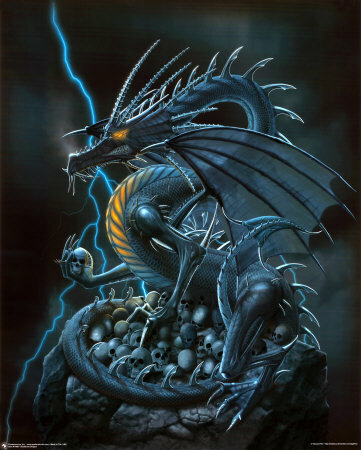 This week I completed the manuscript for my second fantasy novel. What began a year ago as a way to bond with my oldest son took on a whole new perspective. I had previously read Tolkien, Paolini and probably a few others, but I never considered this my genre. 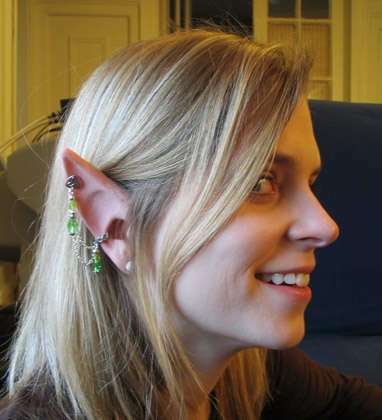 Now, 180,000+ on, I am reading about fantasy writing techniques, devouring books by authors such as Terry Brooks and R.A. Salvatore, and considering getting my ears pointed (okay – but there really are people who do this cosmetic surgery). Hey Mom, I promised no tatoos! Whenever I tell people, especially those who know I write political fiction, about my foray into the world of fantasy, I do it in a somewhat apologetic way. Usually, I make sure to tell people that I am doing it for my son, which while true, is only part of it as my enthusiasm grows. Do you read fantasy? If so share what the attraction is for you? If you read it once in a period of your life, why then and not now? Fascinating stuff. 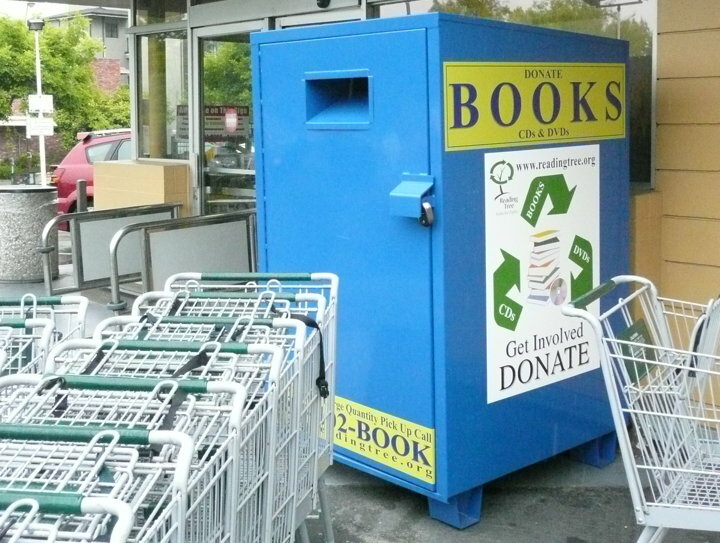 If you have been donating books in bins that are popping up around California, you might discover that some of these books are being sold for profit. Berkeleyside ran a great article on this so I don’t want to repeat the story. Below is one quote to give you a flavor. A donation bin outside Andronicos. Ms. Davenport is worried that people could be donating books that are of a quality to resell to the Friends of the Public Libraries. Now I love the Berkeley Public Libraries and my family are avid users. I often remind my family that this is not a free service, but one we pay for out of our taxes. I want to educate my children about the positive aspects of paying our taxes. I hate tax-dodgers as you well know from this blog. I can’t help feeling that if people paid their share (companies too), we might not even have a deficit, or even a recession (yeah I can’t prove this). However, I am not against finding ways to lower our taxes without compromising key services. If we can find creative ways to finance such services, why not? According to Ms. Davenport, last year the Friends raised $128,000 for the Berkeley Public Libraries through sales of books in their little stores. Almost 2/3 of donated books are not in a condition to sell and these are either given away for free or donated to the non-profit DR3 recycling program run by St. Vincent de Paul. 1) next time you are at the library or near their store off Telegraph, pop in and buy a couple of books. 2) look for a couple of books that you have at home that are in good condition to donate, so that the Friends can help finance our excellent libraries. 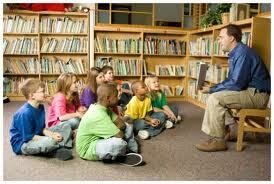 I believe the role of the library is even more important during an economic recession. I see people using the computers and Internet access to apply for jobs. I see children gaining a love for literature and this can’t be bad for the world (or specifically authors!) I am on the road right now, but pledge to donate three books that are collecting dust on my bookshelves when I return. Wow! I saw this headline in an email from Greenpeace that my father-in-law sent me. You might remember that I spent several posts researching nuclear power, seeing this as the real energy demon. Now perhaps it is time to look at coal. Below is the text and YouTube video that was in the email. I would love to hear what you think about it. “Pollution from the coal industry isn’t just poisoning our communities. It’s polluting our political process as well. The millions of dollars they spend on lobbying and campaign contributions has allowed them to continue doing business as usual. But that’s changing. That’s why we created a new website — www.quitcoal.org –– especially for these activists and for anyone who is concerned about coal. Check out their stories and be one of the first people to see our new site by clicking on the video below. Many are taken aback when I equate the group Anonymous with Robin Hood. 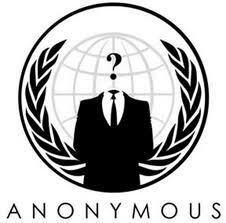 People fear Anonymous because they dwell in the unlawful area of hacktivism. But remember, Robin Hood was an outlaw too. The immense power yielded by governments and big corporations can be countered by hackers crippling their electronic infrastructure. Although illegal, Anonymous used their hacktivism to support the Arab Spring, stymie the Westboro Baptist Church, support the Wisconsin protest and help expose Bank of America’s foreclosure fraud, just to name a few. Like Robin Hood, Anonymous championed the little guy against tyrannical power. Our politicians are increasingly bought and financed by big business. Supreme Court Justices have developed dubious relationships with rich politically active organizations. And Wall Street orchestrated a financial crisis that successfully sucked away much of the middleclass’ remaining wealth. All this has and continues to create a widening chasm between the haves and have-nots. To make matters worse, the U.S. may be turning into a police-state where there’s a “shoot and ask questions later” mentality. Free speech is also under assault with government agencies shutting down cell phones during protests and new laws are inhibiting the video recording of police activities. If genocide of the middleclass continues, a rebellion is inevitable. To have a fighting chance against the Tyrants, the middleclass will need to form an alliance with a group like Anonymous. Tactically, Anonymous could serve as a deterrent or they could pre-emptively strike to facilitate a more successful protest or other rebellious action. Do I endorse all Anonymous’ activities? No, but I would want them on my side during a fight. I ‘discovered’ Marshall Ganz when his work on ‘The Power of Story” formed the basis of the annual Hillel Institute, the professional conference. I wrote about this in an earlier post. Today, I want to focus on Professor Ganz and his own story. Ganz grew up on the West Coast, in Fresno and then Bakersfield. The first remarkable chapter in his life was when, as a child, his family went to post World War Two Germany, where his father, who was a rabbi, served as an army chaplain working with displaced persons. The impact of meeting Holocaust survivors had a powerful influence on the whole family and Ganz grew up learning about the dangers of racism and Antisemitism. Ganz began his undergraduate degree at Harvard but left the year before he graduated in 1964 to volunteer for the Mississippi Summer Project, where he worked in a freedom house in McComb and helped organize the Mississippi Freedom Democratic Party delegation to the 1964 Democratic National Convention. He also joined Cesar Chavez and the United Farm Workers of America and over the next decade and a half gained experience in union, community, issue, and political organizing and became Director of Organizing for the United Farm Workers of America (UFWA). 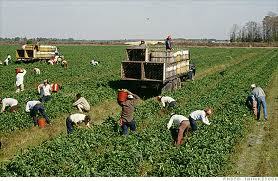 The Union of Farm Workers is smaller today, but its significance has not lessened. He left the UFWA in the 1980’s and began to focus on political organizing for a number of candidates including Nancy Pelosi for Congress, Alan Cranston for Senate, Tom Bradley for governor, and governor Jerry Brown. Twenty-eight years after leaving, Ganz returned to Harvard where he finished his undergraduate degree, received an MPA from the Kennedy School of Government in 1993 and a Ph.D. in Sociology in 2000. Finally, Ganz stresses that the communication cannot be one-way, but must involve genuine listening to understand the other person’s perspective through their own personal narrative. I’m on the road again this week, so maybe this will be a quick and dirty post. The life of a travelling toilet brush salesman isn’t as glamorous or relaxing as it sounds. For those of you unfamiliar with the events of the past couple of weeks, I’ll give a quick run-down. Back in July, the BART police, once again, killed a man under questionable circumstances. He was a homeless person named Charles Hill and had been reported as a “wobbly drunk” on the BART train platform. He may have had a knife, which may have been visible as it was being thrown at a BART officer – just before he was shot and killed – almost exactly one minute after officers arrived on the scene. During the protests of this killing, about a month later, some protesters got out of hand and engaged in some dangerous behavior, including climbing up onto the outside of the train and onto its roof. At some point (and I don’t know where on the timeline this fell), BART officials made the decision to cut off cell-phone access in the station because protesters were using their phones to communicate with each other and rally more people to the scene. This seemed to me a useless, punitive measure that was already too late to prevent the dangerous behavior. But it was also seen as an attack on free speech by some, including Anonymous… and me. So Anonymous lashed out against BART, by hacking not the main BART website (which is evidently pretty secure) but its auxiliary known as Mybart. Anonymous accessed and then published most or all of the users’ info, including home addresses, and published them on the internet. Then, Anonymous called for a second protest of BART, one mainly about free speech. In defense of Anonymous, they didn’t have much time to react and plan a response to BART’s assault on free speech. They had to “strike while the iron was hot” – in other words while the protest was still in the news cycle. But I was disappointed in their methods – at least those concerning the Mybart users’ data. When I heard about Anonymous and their plans to protest for free speech, when I heard that they were a pretty powerful and somewhat fearsome force, I was very hopeful. I am so ready for a formidable hero, standing up for the people. I wanted Anonymous to make strong series of attacks, all well coordinated and focused on those who have either oppressed free speech or have swamped it with their own, public-relations-firm-designed messages – messages designed to cut off dissention. I wonder if hackers in general are losing their power as security is beefed up in the world of the internet. In general this would be a good thing. And I certainly don’t know enough about Anonymous to judge whether they are potential hero material or not. The internet is loaded with stories and tidbits about them; but what’s reliable? Many of these reports seem biased – mostly against them. In addition, it seems that anyone can claim that they are a member of Anonymous – who could prove otherwise? Any hacking-type activity anywhere can easily be blamed on them, as well. How are we to know what are the real intentions or purpose of Anonymous? Do they even really have a set mission in the world? Or do they respond when they see a need or an opportunity? I think it’s very tempting to think of Anonymous as a well-organized, hierarchical entity – but that is probably far from the truth. 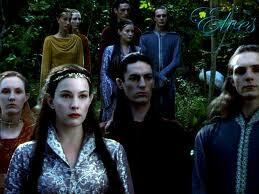 These are probably fiercely independent individuals who sometimes come to a sort of consensus on what should be done. So let me make a call, out to Anonymous: If you are just criminals, as some say you are, you will simply sink into criminal history. Maybe you’ll get a full page in the history of internet crime. But my hope is that you are much better than that. My hope is that Anonymous will use its power to fight the good fight. Free speech is worth fighting for. Oppression is worth fighting against. For that you will not be forgotten. So yesterday’s article was a tad whimsical and here is a more serious perspective. The question is who were the rioters and who is to blame. Firstly, there is no excuse for vandalism and looting. There are laws and there are legitimate and more effective ways to express discontent. I almost stepped on a landmine speaking to a friend in the UK about this. In a time of economic distress, these actions have put a lot of good hard-working people either out of business or in more debt than they already face. 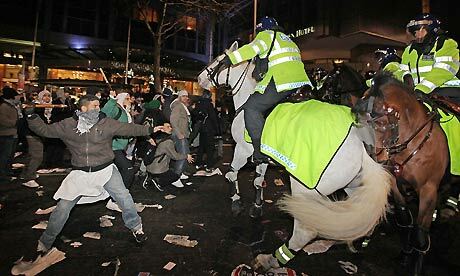 Attacking the local ‘bobby,’ the policeman, with every intent of wounding him or her, is never justifiable. For many, there are fingers being pointed to sheer greed and opportunism. The advertisers pound us with messages that we must have this electronic device and where these absurdly priced jeans or we are not cool is a terrible message to give a young, unemployed person, who is already suffering from low self-esteem and alienation. The question is how to rein this in? The companies are just as desperate to sell their products to a public that can’t afford them. Business is business, but there is a larger price that all British taxpayers are going to pay for the millions of dollars of damage. One of the owners of Big Green Bookshop, Simon Key, maintained that this was more about economics than pure consumer desire. “The people who were doing this were mainly going for phone shops, high fashion shops and HMV, looking for stuff that they could sell on,” he told The Financial Times. Today, as the rioters spill into Britain’s courthouses, we’re gaining additional insight into who the young, enigmatic looters are and what motivated them to wreak havoc on England’s streets. The AP says that “the 1,000-plus people who have been arrested–some of whom are as young as eleven–share a deep sense of “alienation.” One 19-year-old looter who did not appear in court explains, “Nobody is doing nothing for us–not the politicians, not the cops, no one.” The AP adds that “the rage has appeared to cut across ethnic lines, with poverty as the main common denominator.” A BBC infographic today suggests the rioters are primarily young–anywhere from 15 to 24–and male. Sky News highlighted a student from the University of Exeter and a daughter of a successful businessman. She reportedly stole $8,000-worth of goods from a Comet store (electronics). Sky also notes that many of these were first offenders. Race, class, alienation – it is a sad lose-lose episode and one which leaves us all seeking a glimmer of optimism. One final thought – if most of these stolen items are going to find a market, will the same people who have criticized the looters have the principle not only to not purchase one of these bargains. Perhaps if the looters can discover that there is no market for stolen goods, they will think twice about taking this path in the future. A final thought – why did this not spread to the continent? Why only in England? Any ideas?